It’s a well made attraction for the whole squad. 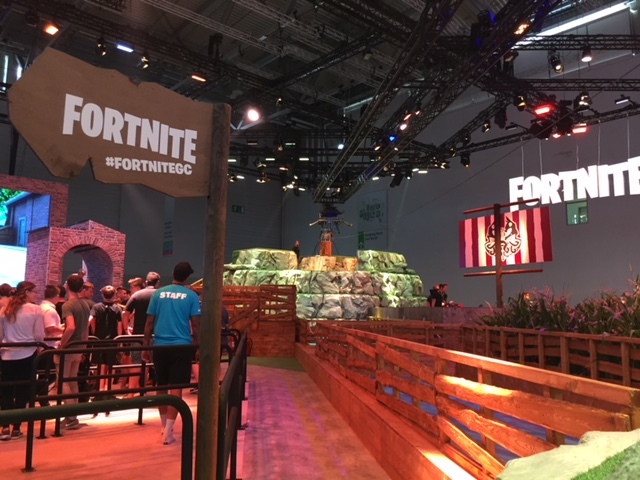 Epic Games has used the small space available to them in one of the many halls in Gamescom to create an impressive Fortnite-themed theme park that is littered with a ton of attractions to try out. By completing each attraction you get the chance to claim something cool at the end in the nearby vending machine. There are four challenges in total to take on, each with its own share of difficulty. If rides aren’t your thing, there is still plenty to do at the show besides the theme park attractions on offer. 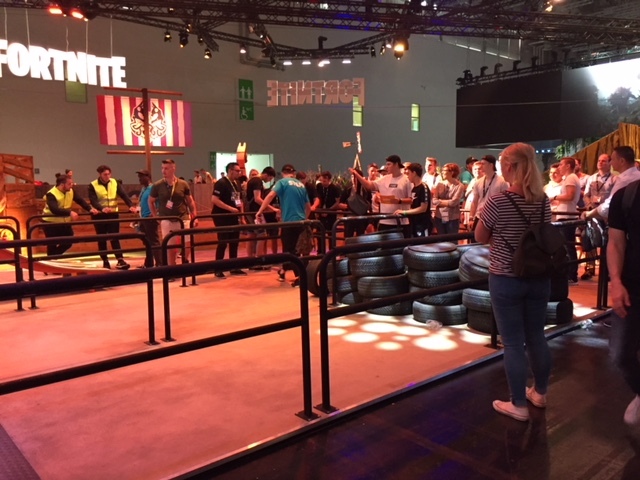 Before we even get to the theme park, most of the action at the show will be happening right next to it on its own patch of grass. 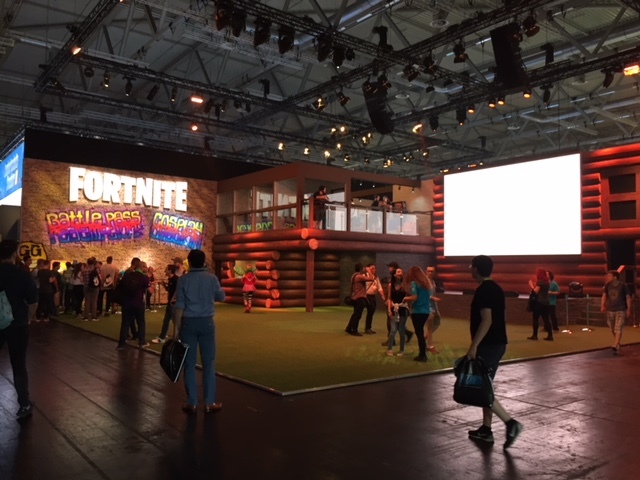 Here, Fortnite players can gather to watch videos on the big screen or even potentially see some of their favorite streamers in the nearby viewing platform. 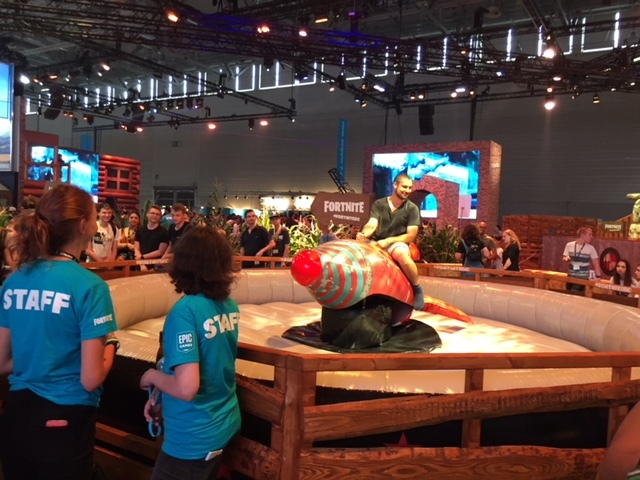 Think mechanical bull but… worse. This rocket is sure to throw you about and make you work to stay on longer then you should. There is hardly anything to hang onto and when you call off, you are near enough hurtled into an area of the arena. If you plan to take it on, good luck—as your going to need it. Fancy testing your agility? 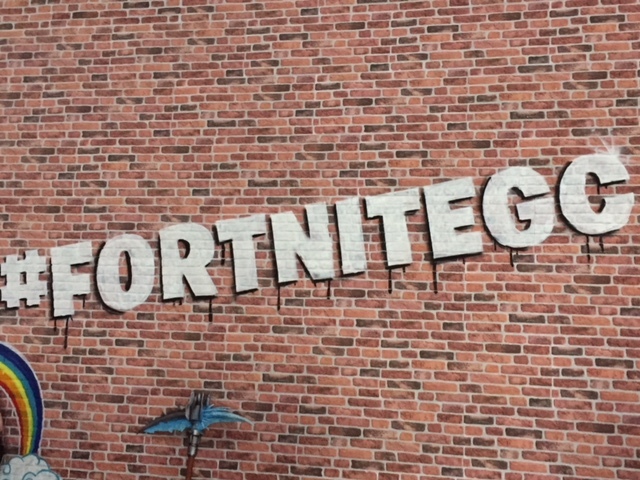 Well Epic Games has just the thing for you. First, you’ll need to climb over the tires of doom and swing your way across a deep pool of water. After making your way through the proceeding archway you’ll have to do the unthinkable—throw a basketball into a hoop. It’s then a mad dash to the finish line to cement your victory and feel a sense of accomplishment that no one else can take away from you. 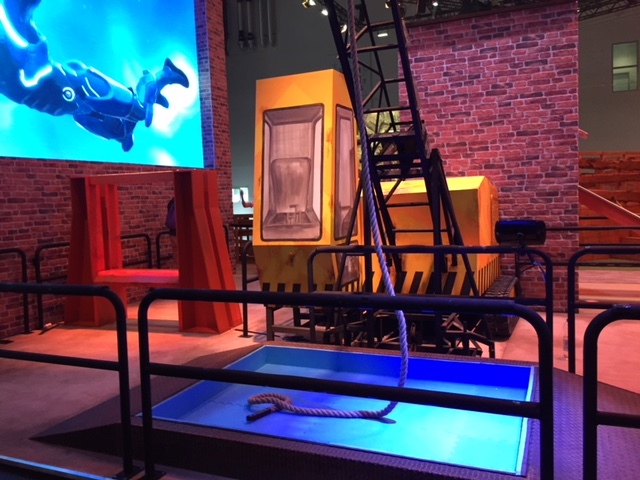 Ok, its not quite as good as in-game—but you can still glide over all of the action in a real-life Glider on a zip-wire. The attraction doesn’t last very long but its cool to see how Gamescom looks from way up high. Don’t worry about falling though as you are safely secured for the few seconds you are in the air. 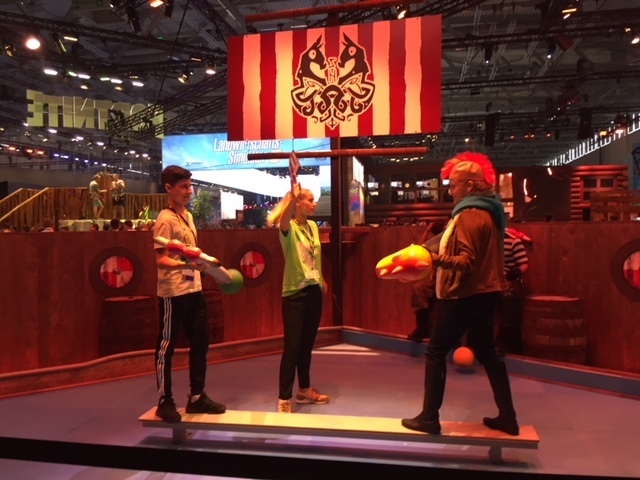 Last but not least, prepare yourself to take on some disgruntled Epic Games employees who are ready to take out all of their frustration with the amount of tweets they receive to change the game. Or rather some swash-buckling pirates that need to stop you from reaching the grand prize! Or another player who stands in the way of your victory royale. Really though, just knock each other off the podium to move onto the next activity. Just don’t expect those Epic Games employees to let you move on easily, they are there to win.